Its not been long since Stadia was announced by Google at GDC 2019, sharing a new gaming streaming platform set to allow players to play on a variety of devices. However, according to developer directors of Obsidian, Tim Cain and Leonard Boyarsky Stadia may not be the ones to set this type of platform in motion. I think something like that is inevitable [but] I’m curious if we’re there yet. I just remember people tried to do online gaming before it was time for it. People tried to do things on the Internet just in general and everything crashed and burned. Five years later, everyone is doing it. Streaming, I remember when they first came out with streaming instead of getting Netflix discs in the mail and I was like, ‘Yeah, right. I’m going to watch this movie that’s buffering constantly?’ Like Tim said, [streaming] will happen it’s just who knows if it’s the right time yet. Stadia aims to provide gamers with an online gaming streaming platform that will cover a wide variety of screens including desktop, laptop, TV, tablet and smartphone. The platform was unveiled at GDC 2019 by Phil Harrison the Vice President and General Manager of Google. Success will also depend greatly on how widely it is accepted by the gaming community, as more developers embrace a new platform there might be hope for players to adopt it. However, if players don’t make the jump, then the platform may not gain traction. It definitely seems like Obsidian are open to streaming games, but which company will lead this change is still uncertain. 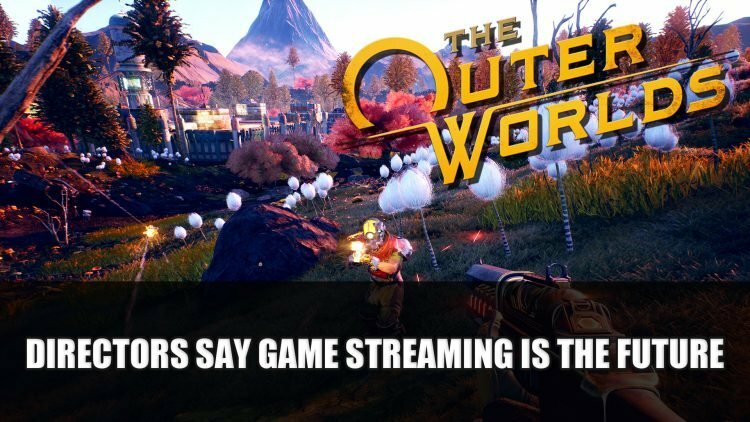 If you’re interested to hear more about Obsidian’s upcoming title check out next The Outer Worlds To Launch On Epic Games Store And Windows Store. You can also read The Outer Worlds To Feature Loading Screen Art That Corresponds With Player Choices. For more about Google Stadia you can read about whats been revealed so far in Google Reveals Their Cloud Gaming Platform Stadia.